Wonderful review! I went straight to DriveThru and got a copy. Thank you! Good review. 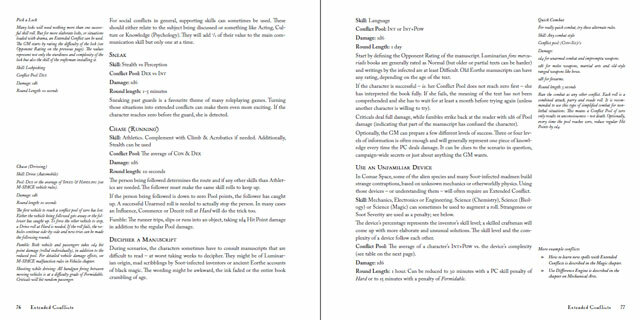 Not my cup of tea setting wise but I like some of the rules modifications you mentioned and may buy the book for those alone as i enjoy the Mythras ruleset for FRPG's. I also think the book is useful if only to import those rules you like to your own D100 game. If you want even more to tinker with, I recommend you to have a look at Revolution d100 from Alephtar Games. Alien Hit Locations: I always use the simplified combat rules, especially in an investigative game like Odd Soot, and that’s why I’ve left out Hit Locations for the alien species. But I realise some people prefer the detailed rules. I’m working on a PDF that includes Hit Locations for the major alien species. I hope to have it ready within a couple of weeks. Negative Luck Points: I would leave the exact usage of ’bad luck’ to the GM. The easiest solution is to turn a success into a failure. 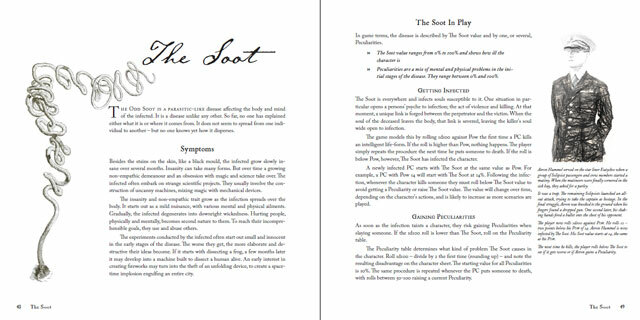 But I’ve found it more effectful to use Twist Fate (page 67). The most important is that the GM uses the same method each time. The rules could have been clearer on this though. Thanks for a well-balanced review! Alex Greene posted in the Odd Soot's MeWe group a new post with a suplement. MeWe doesn't let share, so I just copied the text. 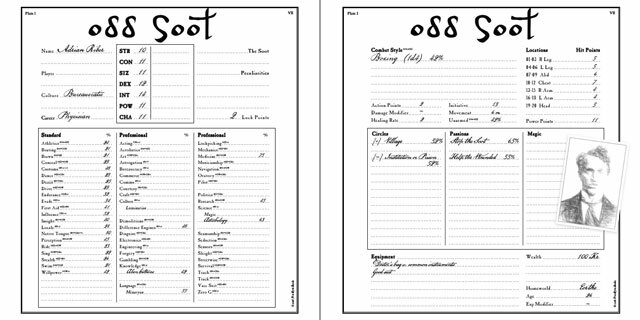 I have worked with Alex Greene, writer for Mongoose Traveller, among other things, to create a new character path for Odd Soot. It’s called Oddities and Alex has crafted a unique concept to generate truly odd individuals, fitting right into Odd Soot. They possess fantastic abilities - but also weird looks that other people might shy away from. 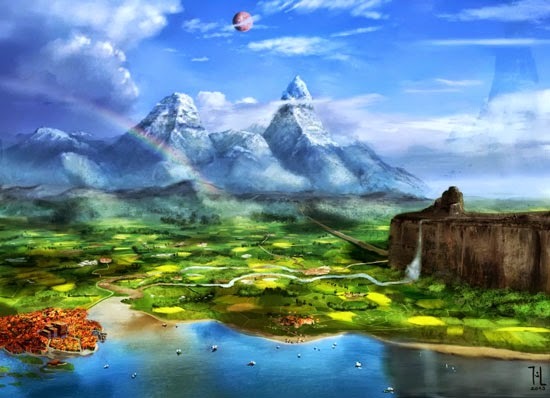 The character path can be used for PCs and NPCs alike. Patrons, villains and heroes work equally well for these quirky individuals. Oddities are based on the book Odd John by British sci-fi writer Olaf Stapledon. His work is often mentioned as direct inspiration for many modern authors, like Arthur C Clarke, Stanislaw Lem and Vernor Vinge. Oddities is a 15 page PDF and consists of generators for superlative traits, disproportions, alienating passions and several inventions. The original post comes from Clarence Redd at TDM official forum. 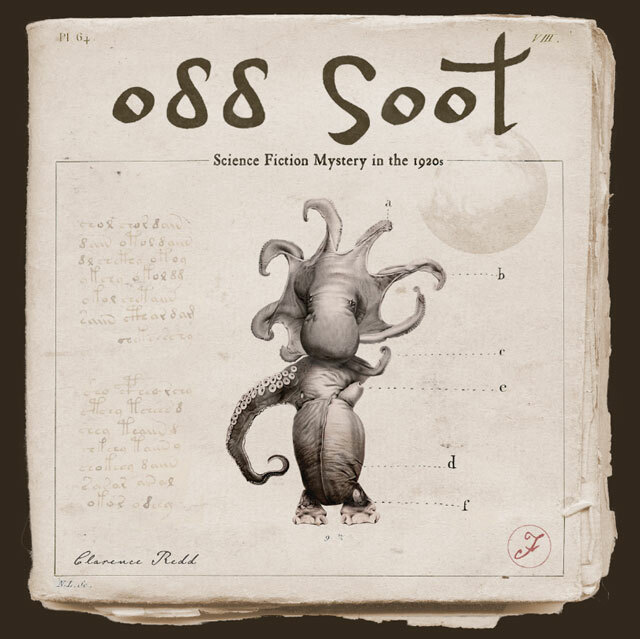 Odd soot is one of my all-time favorites. It reads like lyrical prose. The layout and fontography are superb. White space usage is subtly engaging and the art is very apropos. 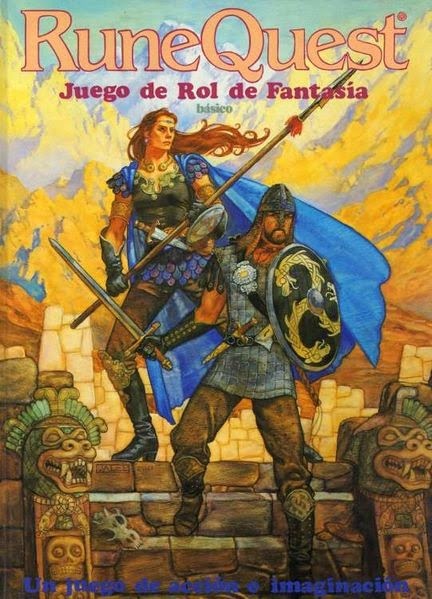 And gameplay is smooth, easy, and familiar with Mythras - for a guy who played RuneQuest since 1980. It is a game of subtlety, mystery and wonder .... but that doesn't preclude action, it just informs and transforms it. What enthusiasm! Have you started running an Odd Soot campaign? I am working on that ... so far just some quick one-offs.